Ecclesiology - how each church understands itself and its relation to other churches - is crucial for Christians, for the churches, and for the ecumenical movement. We may be on the threshold of a radical shift: to an ecclesiology developed by the churches together rather than separately. As alien as the word might seem at first sight for the average person, "ecclesiology" is actually at the heart of the life of every Christian community. The answers that "ecclesiological" questions obtain in the churches influence the daily life of the faithful and set the course of the search for Christian unity. 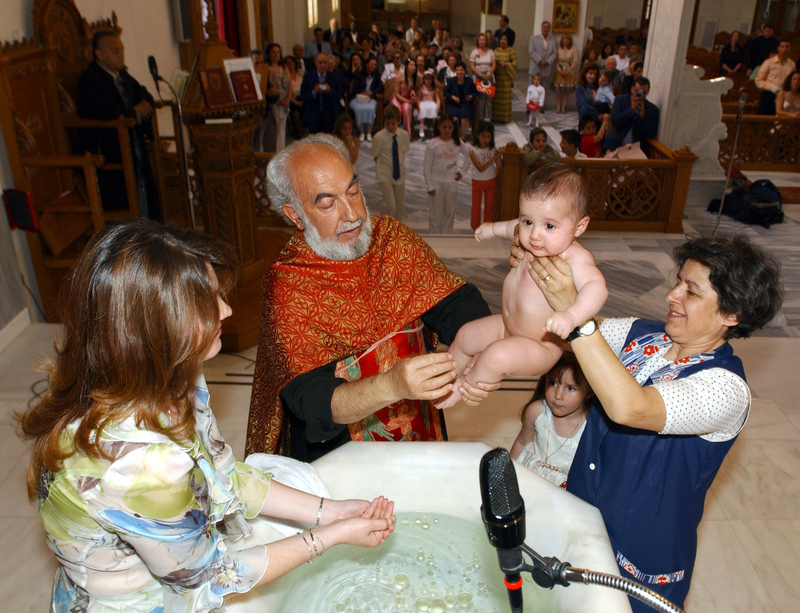 George and Ann, young parents, ask themselves: "Should we bring our new-born baby girl to be baptized? 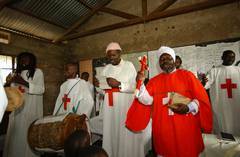 Or should we wait, and let her decide for herself whether she wants to belong to the church?" Ruth goes with her friend Sarah to Irene's church. Ruth is unable to receive the Lord's Supper because her church and Irene's church are not in communion. "I'm confused," she says. "If we share a common baptism into Christ, why can't we take communion together?" Perhaps without realizing it, these Christians are asking ecclesiological questions - questions about what the church is, and what it is for in this world. Ecclesiology is, simply put, how a church understands itself, how it organizes its own life, and how each church relates to other churches and to the world. Ecclesiology is also about the limits of the church: what are the beliefs, or behaviours, which put a person outside the church? The ecumenical movement rests on ecclesiological convictions: one is that the churches' unity in Christ is greater than all the differences in belief, and all the tragedies of history, which divide them. Another is that Christ wills that this unity must be both visible and effective (John 17:20-21). Thus whenever there are divisions between the churches - when they cannot worship or take communion together, or recognize each other's ministries, when their common witness and service in the world is impaired - it is ecclesiological questions which must be asked, and ecclesiological answers which must be given. It is hardly surprising, then, that the ecumenical movement has wrestled with issues of ecclesiology from its very beginning. As the churches sought a basis for their common confession, witness and service, they first practised a "comparative ecclesiology". The convictions of each church were laid out, and similarities and differences noted as a basis for mutual understanding. This was the basis for the famous "Toronto Statement" of 1950, which stressed the role of the World Council of Churches as a place where differing - even sharply differing - ecclesiologies could meet for dialogue and cooperative mission and service. Eventually there was a seismic shift to a method of "convergence". The ecclesiological comparisons were set in the perspective not just of the present and past, but also of the future: the discussions now aimed at ensuring that the churches, as they moved into the future, would be drawing closer together rather than moving further apart. For this, a new depth of dialogue was required. It was no longer enough to note ecclesiological differences - whether infant or "adult" baptism is practised, whether women can be ordained to the ministry of word and sacrament. It became necessary to identify the moment when difference becomes division, to name the causes of division, and to work together to overcome them. We forget how radical a development the modern ecumenical movement is: churches which for 150, or 500, or 1000 years have lived and worshipped apart are now, increasingly and irreversibly, doing those things together. This has affected how many churches understand themselves: as truly a part of the body of Christ, completely church in themselves but incomplete without the other churches. Thus the common experience of the churches has become part of the "raw material" for ecclesiology. This has consequences! We may now be on the threshold of another shift, the most dramatic of all: to an ecclesiology - a basic understanding of the church and its mission - developed by the churches together rather than separately. Such an ecclesiology would start from, rather than end at, the fact that the churches are one in Christ. It would draw deeply on the experience of each church, but also on the ecumenical experience of the churches in confessing, witnessing, serving, and (where possible!) worshipping together rather than separately. And it would challenge each church to ask: does our own self-understanding serve the unity of the church? How much of our own ecclesiology was developed to justify, and maintain, our separation from other churches? How do we make the unity that we have, more visible and effective? 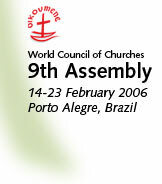 The World Council of Churches' (WCC) 9th Assembly in Porto Alegre next February will wrestle with a statement on ecclesiology. Produced by the WCC's Faith and Order Commission, this tries to state, in a concise yet substantial way, what the churches can say together about the church. The statement is offered for adoption by the Assembly, not as the "final" or definitive statement on the church but as a basis for reflection on what bonds the churches together - and on what threatens to divide them. It is no accident that it is called "An invitation to the churches", for it calls them to a renewed and deeper dialogue. It calls them to be the one church, to make visible in the Spirit the unity given them by God in Christ. And yes, it challenges them to address their divisions openly, to name them and to work to overcome them. Some years ago, I heard a story that makes it plain why ecclesiology - how each church understands itself and its relation to other churches - is crucial for Christians, for the churches, and for the ecumenical movement. It was about an elderly parishioner in Ghana, whose village was fed by the priest of a neighbouring village during a famine. When the famine was over, she went to the neighbouring village to thank the people there for what they had done. "How can we share the material food which keeps us from starving, and not share the spiritual food which Christ himself offers us? I think when Christ comes again, he will feed us himself - and then he will do what is right!" "Ecclesiology" is about the churches doing "what is right". It is about the churches being "what is right", being the one church, confessing, worshipping, witnessing and serving together with one heart. Rev. Dr Thomas F. Best, a pastor of the Christian Church (Disciples of Christ) from US, is the director of the WCC Faith and Order Commission.